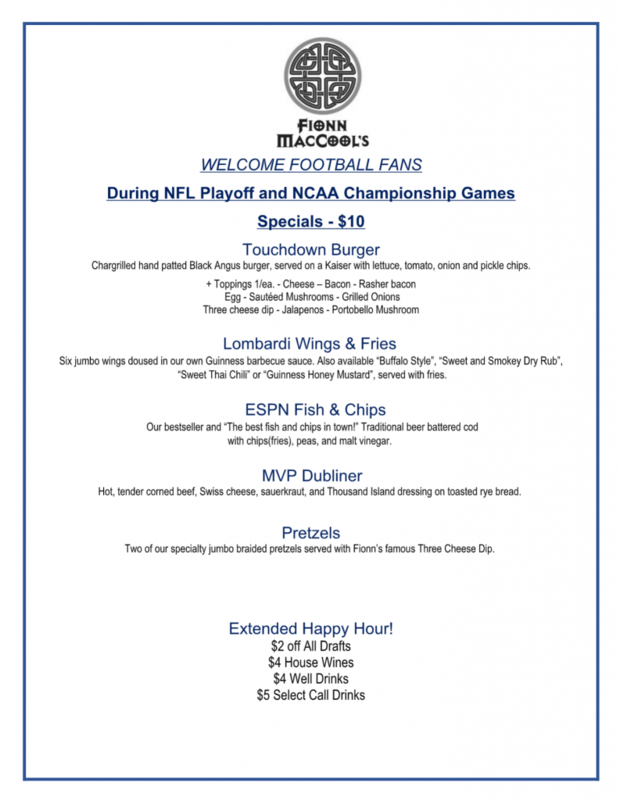 Fionn Maccool's » NFL SPECIALS! Are you ready for some football (specials)? Make sure you reserve your spot for the NFL Playoffs and Super Bowl! Call either the Ponte Vedra or Jax Landing location to reserve a spot for you and your party. We look forward to seeing you at Fionn’s.